Poly-cotton table cover. 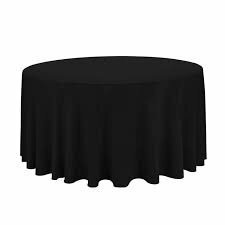 These are full-drop table covers that reach the floor on 60" roud tables. The price doesn't include laying/removing cloths.